I know I promised you a post on my lighting choices today, but I’m still waiting on one more light that’s supposed to arrive tomorrow. I want to check it out in person before giving you the full scoop on them. Instead, I thought I would take a quick cruise down memory lane and recap my top posts of 2016 like I normally do every year. There weren’t as many completed projects this year as we have been planning/working on the new house since August, but I still snuck a few good ones in there. 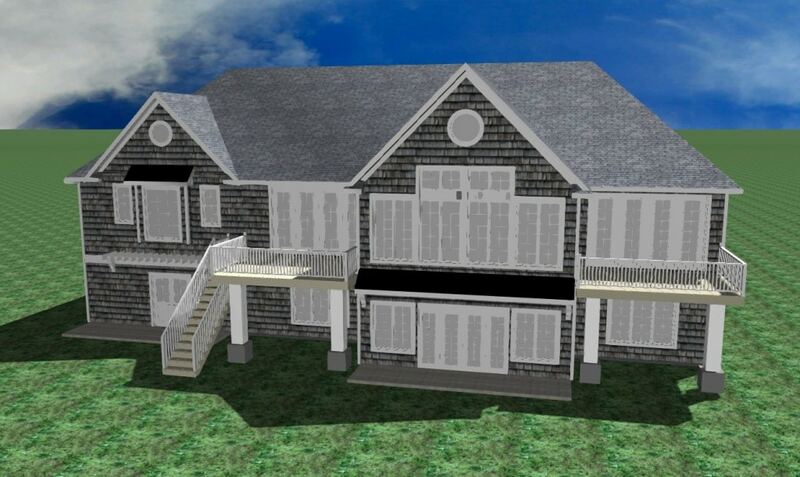 It seems crazy to think we are 6 months into this house process already! 4. 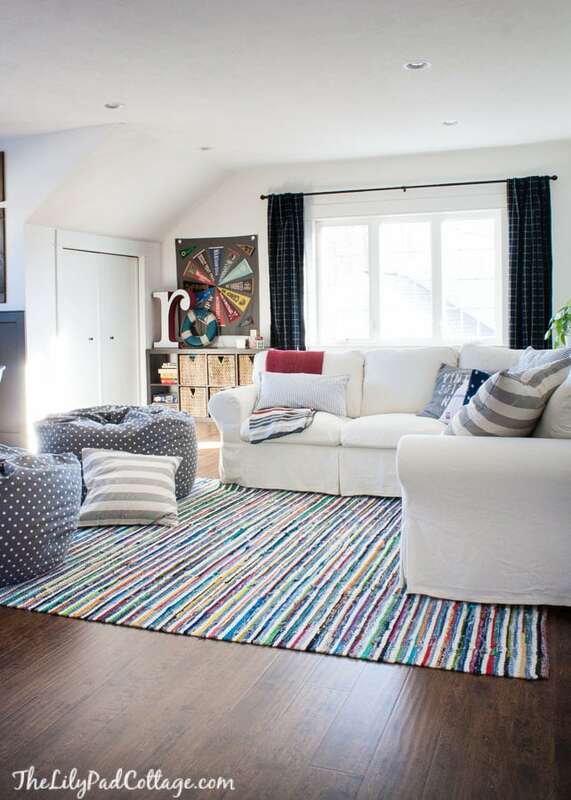 Playroom Take 47 – The playroom in our last home was definitely the room I rearranged the most. I just could not get it right, although this version was definitely my favorite. I gotta say the playroom/family room in the basement at the new house has me currently stumped as well, it will have a little wet bar area with a mini fridge and snack area, and I can’t quite figure out the furniture configuration in there. I’m hoping to post some pics soon and let you guys hit me with your brilliant ideas! 3. 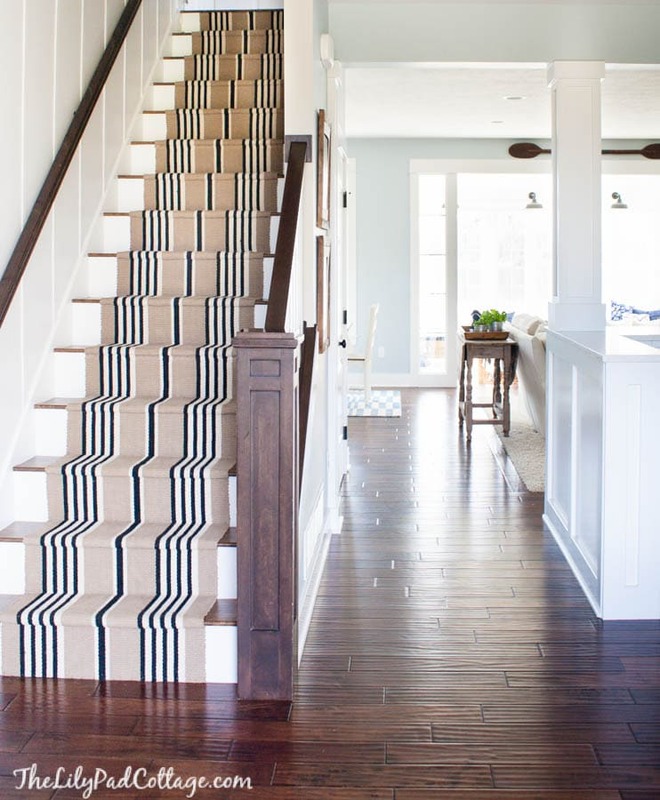 Stairway Makeover – I loved how swapping out the old carpeted stairs for this striped runner made my ho hum entry way really pop. Spoiler alert I’m hoping to go for a similar look in the new house. 2. Lake House Spring Decor – I’m so ready for some spring right now amidst the 10 degree snowy weather and my spring tour last year was a definitely a fave. Thanks Kathleen, it will so surreal when we finally move in! Where did you purchase the Laura Ingalls Wilder art? going to be beautiful and fun to follow your journey, we also stumbled across a lake lot and just closed. meeting architect on Tuesday. we currently have a home we love (looks like you did too) so I’m having problems deciding what to change and keep the same? you too? 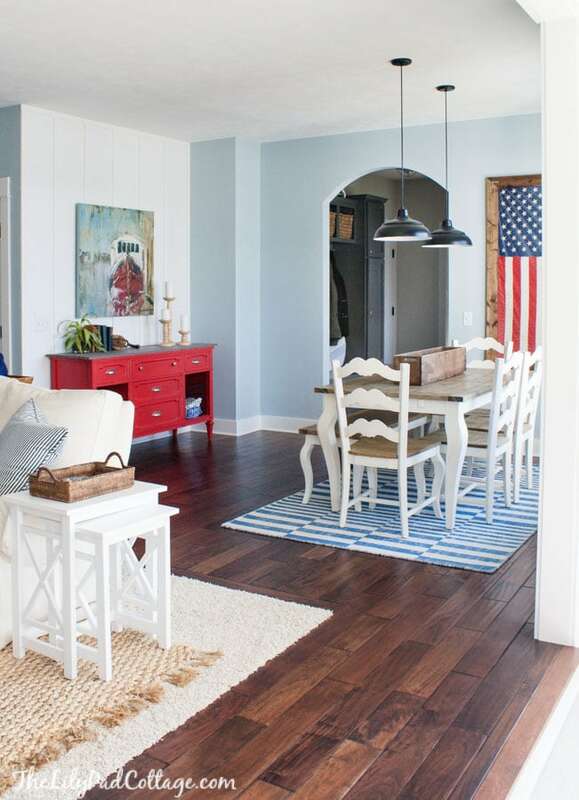 We currently have white walls, walnut floors , considering light this time around for a cottage feel – have you chosen floors yet? Light or dark? Hey Lisa, our new floors are going to be light. I actually sprinkled sand on top of a bunch to see which showed up less ha, our dark floors always looked dirty! I will be sharing flooring soon. Yes I’m struggling with wanted to have really cool trendy stuff and not wanting to kick myself in 5 years so I’m trying to stick with classic with all the hard to change big ticket item things. Where did you get the wonderful white (cream?) chair and ottoman shown in the pic labeled “Winter Mantel”? Thanks for your help! They were hand me downs from my mom, but they were custom made. 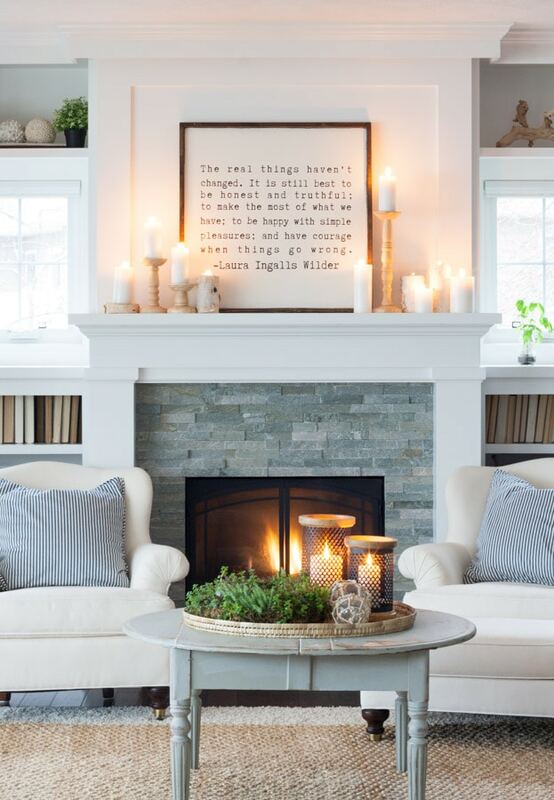 Wondering where I might find the framed quote that was on your winter mantle? Almost all of my pillows are from Pottery Barn or HomeGoods! Love the floor in the entry near the stairs. Can you please share? What is the color of the stone in the fireplace?